This is also called “Flamingo flower” , “Boy flower”, “Painted tongue”, or “Tail flower”. 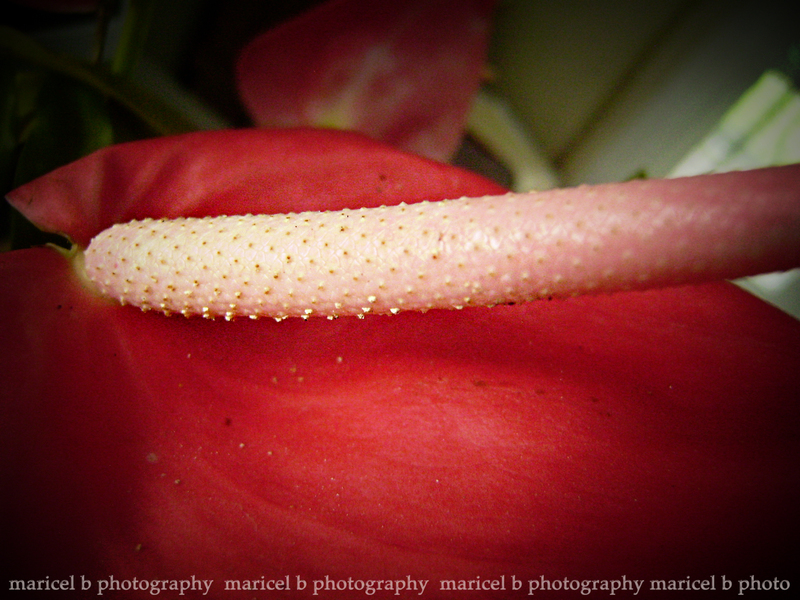 Ate Rose gave us anthurium flowers that stayed in our office for almost a week, yet it didn’t dry. They are known to have a long shelf life. Because it is ornamental, it’s suitable for a houseplant. ♦Anthuriums are the popular foliage plants. ♦ All parts of the anthurium plant are poisonous, it may cause stomach disorders. The plant sap can cause skin irritation.